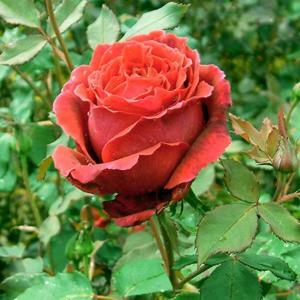 Hybrid tea shrub rose with double, rich velevety crimson-red flowers, repeating through summer. Strongly scented. Good health foliage, often coppery tinged. Royal National Rose Society of England Edland Medal winner.